Finding the best option for hardwood floor refinishing in Marietta can be difficult sometimes. There are several choices between professional refinishers, all the way to DIY projects. Luckily, Fabulous Floors Atlanta has years of experience and skill! On top of that, our technicians are passionate about helping you bring back the beauty of your floors. At Fabulous Floors Atlanta, our top priority is customer service. You can expect a stress-free experience with us from beginning to end. We have years of experience refinishing and resurfacing hardwood flooring, giving us the expertise on how to make your home shine again. If you’re looking for professional hardwood floor refinishing in Marietta, we’ve got you covered. 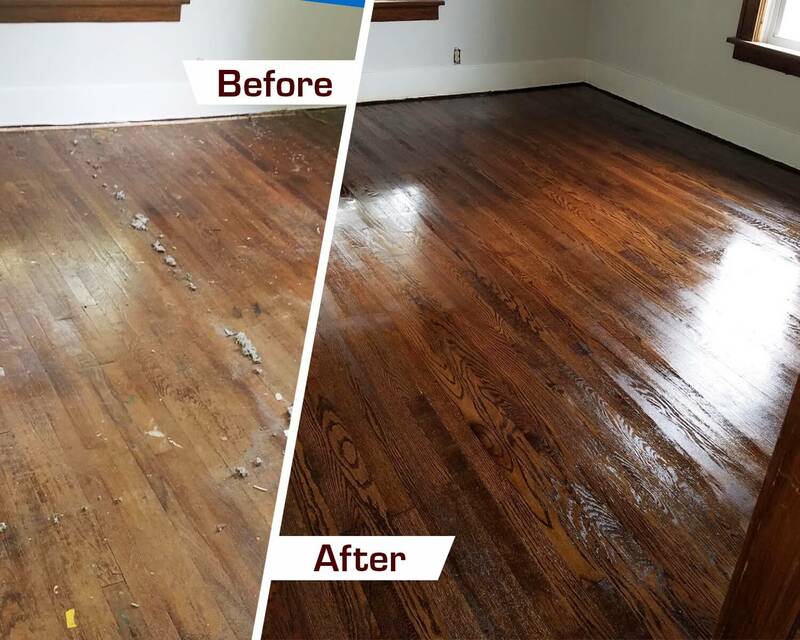 Fabulous Floors has been refinishing hardwood floors in Marietta for years, so you don’t have to! While it’s true you could tackle a wood floor refinishing project on your own, it can lead to odors, messes and several headaches. Many DIY projects draw out much longer than expected. We’ll turn your project into a dream come true and not a nightmare. Fabulous Floors has a simple 4-step process. First, our professionals go to your home and take a look at your individual wood floor. Then, we use our innovative sanding equipment to remove day-to-day scratches, bumps, and dents. Third, you get to choose from our wide variety of colors to find the perfect fit for your home. We then put down that color of stain on your wood floor. Finally, we seal the stain with our polyurethane finish. This protects the color and makes it shine at the same time!